Every phone case seller needs a woocommerce custom phone case designer to give a variety of options to his/her customers.This product configurator will help consumers not be limited in their choices.We are in the era of personalization and as a business owner, you must meet these demands if you want to survive in this business.According to a Deloitte research, 1-in-3 consumers want to personalize their products. Because customers are always looking for a way to get unique products that reflect their personality and gives them satisfaction. With personalization, customers aren’t presented with thousands of resources to sort through and consume. Instead, they are presented with exactly the information they were looking for. Hence, they never feel “overloaded” with information.The Woocommerce Product Configurator is a plugin that gives you the ability to offer phone cases customization on any woocommerce store with flexibility. 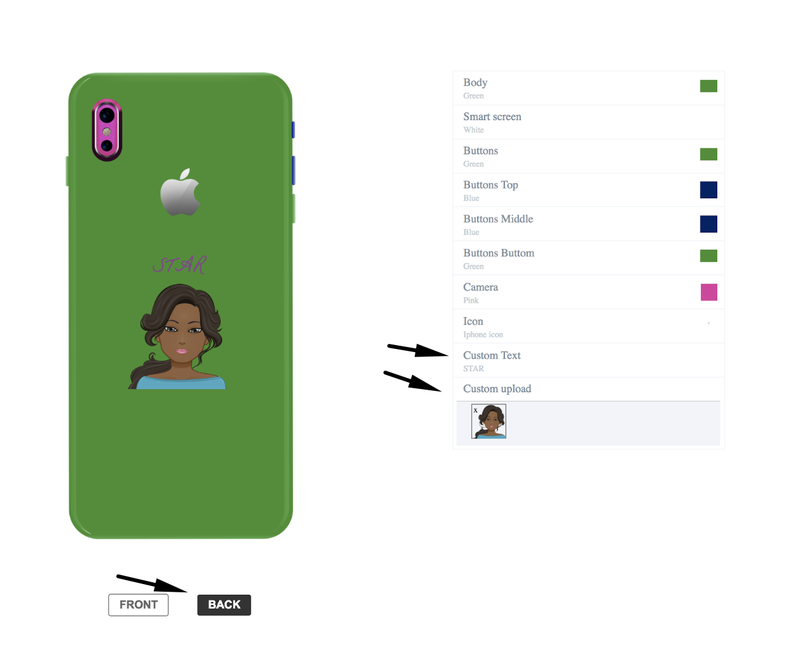 It also allows your clients to customize and visualize the final product prior to purchase.Using the Woocommerce Product Configurator, you can give your customers the choice to create the custom phone case they want, with colors, text and/or images.You will need images to illustrate all the options available for your customer to choose from. We will show you how to go about it below. Now we can start building our woocommerce custom phone case configurator. A configuration is an arrangement of parts or elements in a particular form, figure, or combination. This term “configuration” will be used in the following sentences to illustrate how to build a custom phone case.Let’s start by defining the concept of “parts”. Parts simply means the different elements that form a product. In this case for example, the different parts that form our phone case, are the body, smart screen, buttons, camera, and icon. The construction of the product with the different product parts is what we call a configuration.Now we can set-up the custom phone case configurator by going to the plugins configuration page and defining the components (customizable parts of the phone case). 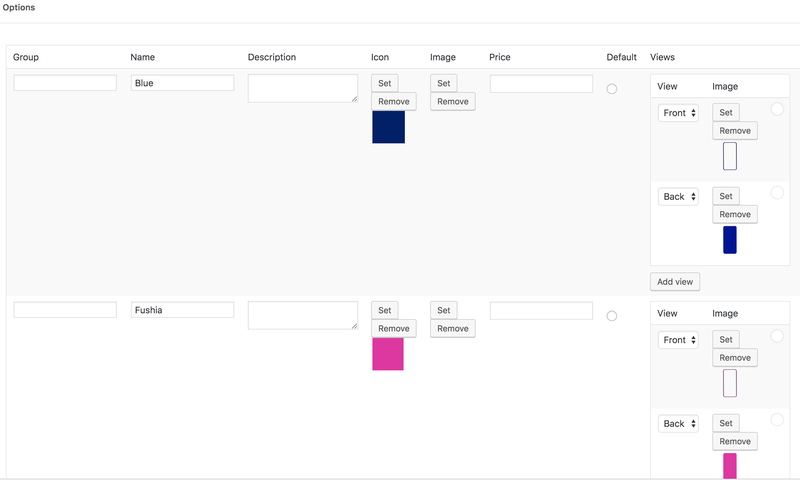 After naming the components and setting the icons, next is to define the different variations of each component. In this example, the variations we have are colors: blue, fuchsia, black, green. So when you click on “manage options” you see the following page. 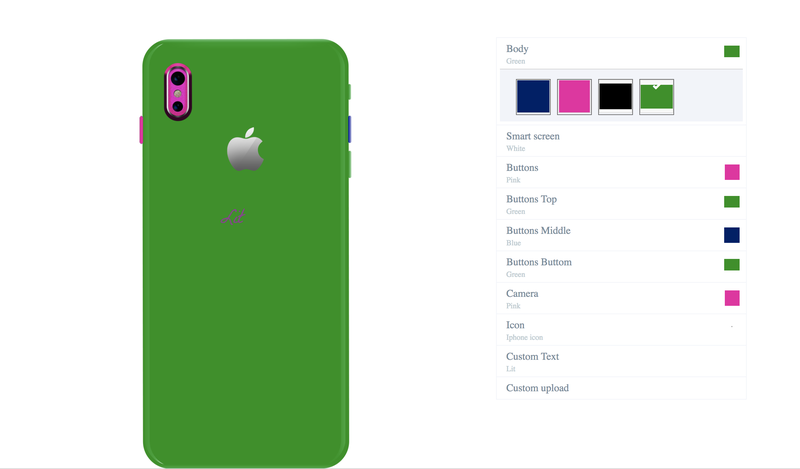 And many more other add-ons you can find hereThe image below shows you the front view of the woocommerce custom phone case configurator page with the multiview, custom text and upload image add-ons. You can also have additional skins. A skin enhances the look and feel of the editors final display. In other words, it is what the customer sees and how comfortable they are using it to build their product. If you want to display your configurator in a special way, we can create one specially for you at an added cost.We have one other “skin” sold separately. Below are the 2 skin layouts available now. 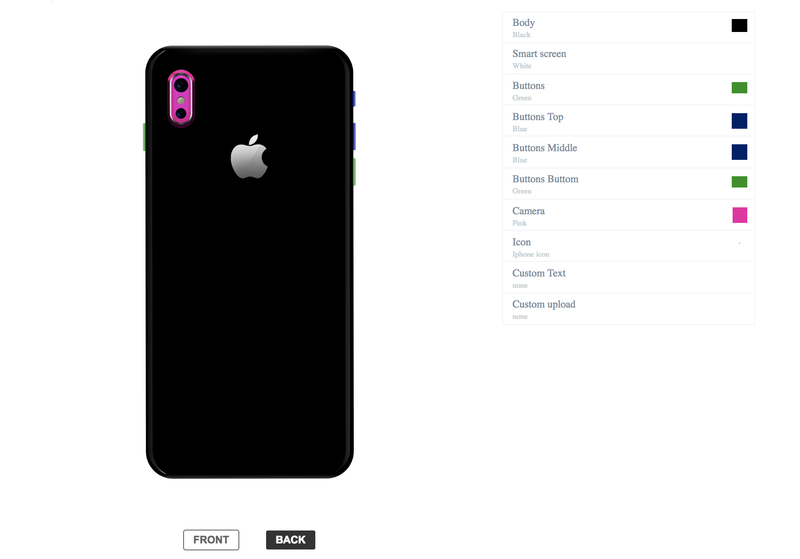 a) Adding detailed descriptions to phone case options:You can add a description for each option that shows in a pop-up upon mouse-over at the front end. b) Allowing customers to save designs:When your customers build their product they may want to save their personalized products for future usage. You have the possibility to allow the user to save their designs in the front end and return to finish up or view later. You can set it up from the settings page.Setting up the plugin is quite flexible, all you need to make an option available or not, is just a click away, and you can get it at an affordable price. You can install the free version and try it. 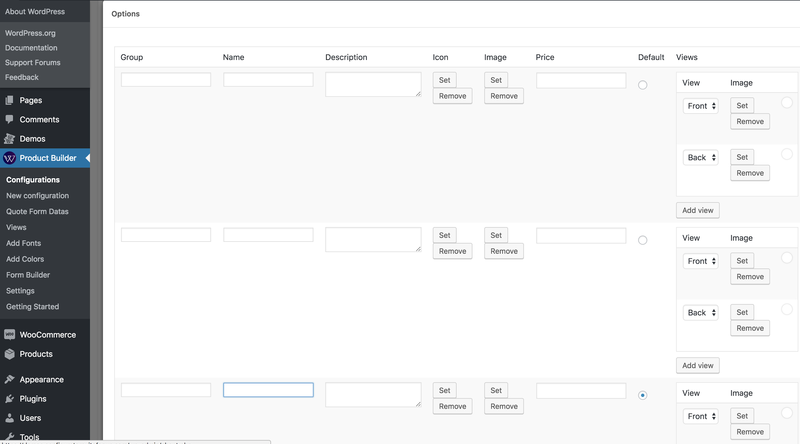 Check this tutorial on how to install the woocommerce product configurator. Building custom phone cases is easy and flexible with the Woocommerce Product configurator. You can now make shopping fun for your customers. You can also view the demo version of this custom phone case designer here.No matter the type of the product you sell on your Woocommerce WordPress shop, our online product designer is able to give you a tailor made solution.You can also check other products that were customized with Woocommerce Product configurator in our list of case studies or watch a video of how it works.